What do you imagine for Denver? Over the past seven months, over 5,000 people have shared their ideas and aspirations for arts, cultural and creativity in Denver. As part of IMAGINE 2020, the city’s cultural planning process, these heartfelt ideas and imaginings have fueled the articulation of a bold collective vision for the city. Corona has been pleased to serve as the consultant to this important project, the first of its kind since 1989. We have partnered with Denver Arts & Venues, the city agency charged with stewarding the City’s cultural assets and programs, and with the Denver Commission on Cultural Affairs, the volunteer advisory board for the City, in this big effort. As we culled through all of the ideas and visions shared by Denver residents we were struck by the passion and commitment expressed. We endeavored to craft a vision that fully expresses the qualities and attributes of our ideal Denver in 2020. So, what do we see for ourselves? We imagine a Denver where …. 1. 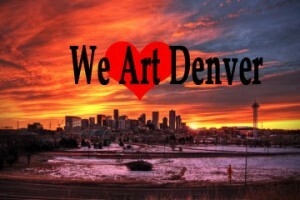 Arts, culture and creativity are fully integrated into daily life, work and play in Denver. 2. Arts, culture and creativity are amplified in Denver – and amplify the city to the world. 3. Arts, culture and creativity are truly inclusive and accessible for all. 4. Exposure, appreciation and participation in arts, culture and creativity span our lifetimes. 5. Denver’s diverse artists and creatives are locally cultivated and flourishing. 6. Denver’s economic vitality is accelerated by arts, culture and creativity. 7. Collective leadership is committed to high impact results across Denver. Over the next few weeks we will bring each of these vision elements to life for you in a blog series. We’ll share the more detailed descriptions and a bold strategy or two being recommended for action. In the meantime, please visit ImagineDenver2020 to share your input by November 22nd. This is final round of public input during the development of the cultural plan so make your voice heard.